Agro Alex Group has been a pioneer in farming since 1950. All our farms are pest free areas (PFA) in accordance with the European Union Regulations. Agro Alex Group also owns and uses state-of-the-art machinery lines for land preparation and the planting and harvesting of the potatoes. We prioritise the monitoring of all the farming activities in order to ensure that we always achieve the most efficient level of productivity and safeguard the state of the fresh fruits. 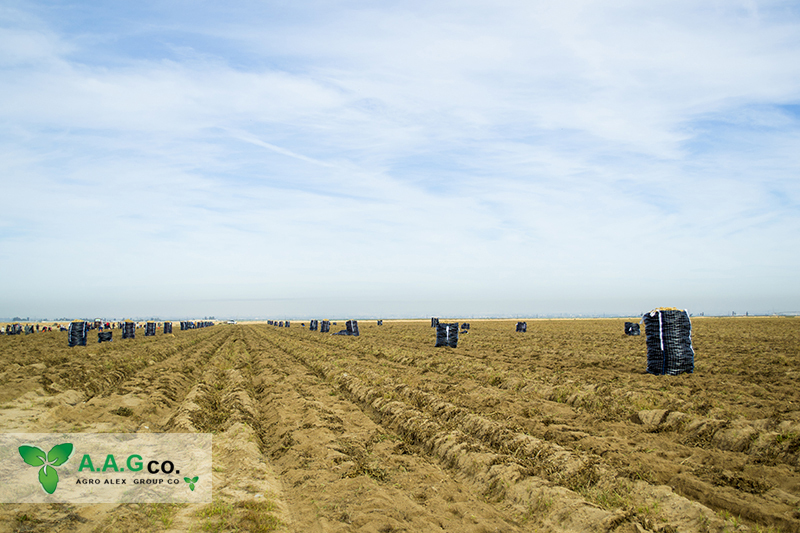 Our GLOBALG.A.P certified farms provide an optimum quality of fully mature potatoes. Our farms are located in ElSalheya, Nobariya, and Wadi el Natron. 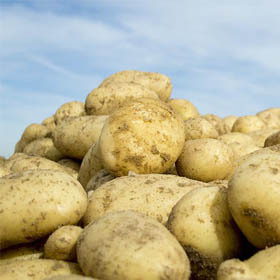 Agro Alex Group owns two BRC certified pack houses for the grading, sizing and packing of potatoes. Each packing houses contains large cold store facilities which can store up to 4000 tons of potatoes. The Onions packing station contains two electronic Spanish sorting and grading machines in order to meet the exact sizing demands of our European customers. Agro Alex Group owns a state-of-the-art BRC certified fully automated packing station with a Spanish packing line that packs around 200 pallets/day. The packing house is supplemented with large cold store facilities and precooling facilities for the export to certain markets.